Rutting: it mostly occurs on paved roads. We highly recommend having your pavement repaired immediately as soon as you notice them developing because ruts can become a very serious issue if not taken care of. Other reasons include bumps, swells, depressions and sags. Pavement millings have approximately about 7% of asphalt which is mainly used for quarry materials as a binder for things like rocks, stones, silt and sand. The uses of pavement millings are all appropriate with the rules and regulations for re-use and recycling therefore milling may be used on either land or roadway surfaces. Having your parking lot or driveway milled will create a comfortable and smooth surface that will extend the life of your parking lot or driveway as well as adding value of it. We have outlined the main reasons and importance of asphalt milling that every customer should know in order to be prepared when the damage occurs and to improve the value of your pavement. These millings are considered as recycled asphalt pavement mainly because they do not need or use new materials in the creation or repair. Cost is diminished because no materials are needed to be moved or transported from one place to another therefore saving time and money too. 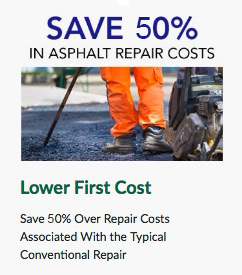 No maintenance is needed Asphalt millings are something that do not involve a lot of time for you. It requires no resurfacing or refinishing. it does not weaken over time, even during tough weather conditions since the recycled gravel is less susceptible to the elements.additionally, asphalt millings produce less mud and dust making it easier to cleanup.Adaptable to weather You should look for a quality material that is able to withstand any harsh weather conditions like winter Asphalt gravel will not only stand up to the harsh weather conditions but will make the snow melt off faster. 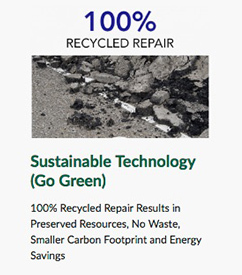 recycled asphalt can also be used in different areas, either as hot asphalt or stone gravel. asphalt millings are cost effective and environmental friendly Sustainability You should never be concerned about your project’s sustainability if you are using asphalt millings. this is because they use eco-friendly and long lasting materials that will last for years. 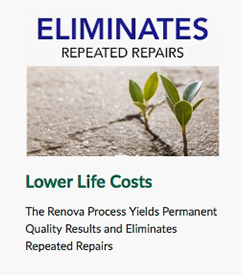 therefore, you don’t have to stress about having a negative effect on the environment if you look for a professional asphalt milling recycler like the RENOVA.